Looking For Auto Dealers In Airdrie You Can Depend On? Are you a risk-taker, or are you risk averse? Depending on which of the two categories you fall into, this is likely to inform how you approach buying a car, or a vehicle of any description for that matter. The private seller is so tempting because you could find that gem and get it at just the right price and have years of joy. However, where the private seller is attractive as a dream, the reality is that for dependability, confidence and a hassle-free deal, House of Cars Calgary, the preeminent of auto dealers Airdrie is the only way to go. We have been serving Airdrie residents and those from even further afield for the past 6 years, delivering the kind of customer experience that is rare in the car industry. The team here at House of Cars Airdrie is dedicated to offering a transparent, friendly and fun deal for all of our customers when they are on the hunt for a pre-owned vehicle. Not only is our reputation untouchable, but the shelf full of awards that we have amassed since our very first year speaks of our ability to deliver on our promises, and bring more to the car industry than any other dealership. On first glance, it may seem counter-intuitive to choose a pre-owned car over a brand new car. There is a certain allure to fresh out of the factory vehicles, but there are many advantages to be had by holding out for a year or more before you choose to invest in the latest models. A brand new car is always going to cost you more than a pre-owned. It’s going to look great and everything else, but the reality is that the first owner of any vehicle suffers the greatest level of depreciation. 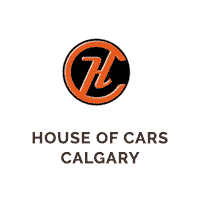 Waiting even a year and dropping into the team here at House of Cars Calgary then could save you thousands of dollars and see you drive away in a car that has low mileage and is as good as new. Franchise Auto dealers in Airdrie will want you to opt for the brand new car, but have you thought about the kind of depreciation the vehicle will get as soon as you drive off the lot? Think instead about the fact that you can get a practically brand new vehicle without the depreciation here at House of Cars Airdrie. What’s more, regardless of your personal circumstances, our finance department is ready to work with you and come up with a finance plan that you are comfortable with, and that is built around your specific needs. Many buyers will think twice about pre-owned vehicles, particularly when buying privately, because really, who knows what the actual history of that motor is? Well, here at House of Cars Airdrie we offer FREE CarProof! Also, before we sell any car, we fully inspect it, detail it, market it and will make warranties available once we are satisfied with its history and the condition that it is in. That’s the kind of peace of mind you simply do not get when you buy from a private seller. And, for those that want that new car smell, there are air fresheners with that scent going for a lot less than a brand new car! So, when the time comes to getting rid of your old vehicle to find something a little newer that’s proven its worth, seek out Airdrie auto dealers that make a difference like House of Cars Airdrie. Here you will find “more vehicles with less limitations” and a whole lot of satisfaction to boot. We look forward to meeting you on our lot!